The military environment is a particularly challenging one for maintaining viable satellite communications links. At the same time, continuous links are often critical for the safety and well being of military personnel. One of the biggest challenges for military users is the nature of their communication links. They are often in remote areas of the world where the terrain can be extremely challenging. This means equipment will certainly get bumped and bashed around a great deal more than in other environments—only extremely robust equipment will be able to withstand this sort of treatment. Some of these areas experience extreme weather. Communications equipment must deal with rain fade and the equipment must continue to work in gale force winds, heavy rain, and even the burning sun. Such is no mean feat to accomplish. For users, ensuring their crucial equipment adheres to the various military specifications is “must” as a starting point. Any military equipment should adhere to MIL-STD-810, which ensures that the equipment has met the approved standards for resistance to extremes of temperature, shock, dust, vibration, humidity, and solar radiation. Being constantly on the move also means the satellite communications equipment must be able to point and re-point all of the time to ensure proper alignment with the needed satellite throughout the mission, no matter what obstacles are encountered by the personnel in their vehicle. Additionally, satellite Communications-On-The-Move (COTM) places severe restrictions on the size of the antenna that can be used, with the military keen to ensure the vehicle remains as aerodynamic and with as low a profile as possible. Ensuring terminals can accurately point at the correct satellite while moving can be extremely challenging, especially as the equipment itself needs to be as small as possible. Add to that the fact that the GPS signal is not always available, and the risk of error dramatically increases and potentially cause issues, such as satellite interference. The IBETOR Satellite-On-The-Move (SOTM) terminals have dual GPS built-in, which ensures the terminal remains aligned with the satellite, no matter the road conditions. The terminals also work without a GPS signal for those occasions when the signal is temporarily lost—re-acquisition is instantaneous. This backup connectivity is vitally important to ensuring continuous communications at all times. Of course, in the military environment, COTM/SOTM doesn’t always mean the needs are vehicle-based—often personnel are required to carry all of their equipment in order to cover vast areas. This means there is a need for lightweight SATCOM equipment which meet all the other conditions already mentioned. The challenge is in keeping the terminal light in weight, enabling the terminal to be carried by an individual. Easy deployment is also a key requirement, as there is often very limited time to setup the equipment and ensure it is fully operational and mobile. IBETOR has developed an ultra lightweight manpack, which weighs only 9kg, making the unit quite portable, all the while adhering to the standards already mentioned. The constant threat of hostile activity is another reason why the equipment should be small in size, so as to avoid it becoming, itself, a target and to make certain the vehicle and the personnel remain safe. Should the equipment become the target, adherence to MIL-STD-810 provides another reason for the acquisition of robust equipment that is able to withstand a certain amount of force. Thanks to High Throughput Satellite (HTS) technology, the size of antennas now able to be smaller than previously possible. Such greatly benefits product use for military applications and allows manufacturers to create far lower profile antennas that are aerodynamic in design and far less visible than previous models, yet still offer accurate satellite connections. For military users, operating in X-band offers a certain number of important advantages, such as greater capacity and less probability of adjacent satellite interference, as well as a higher level of security. Therefore, X band is one of IBETOR’s core business lines. Simultaneously, there have been a number of significant, technological advancements in the satellite industry of late, such Ka-band development. The IBETOR pointing mechanism is accurate enough to work with all of the new frequencies, which demand more accuracy than X- or Ku-band. The military is a unique and challenging environment within which to ensure continuous satellite communications links. 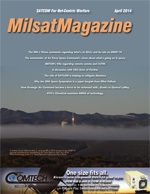 Satellite is often the only communication method available that is able to serve the military’s needs. 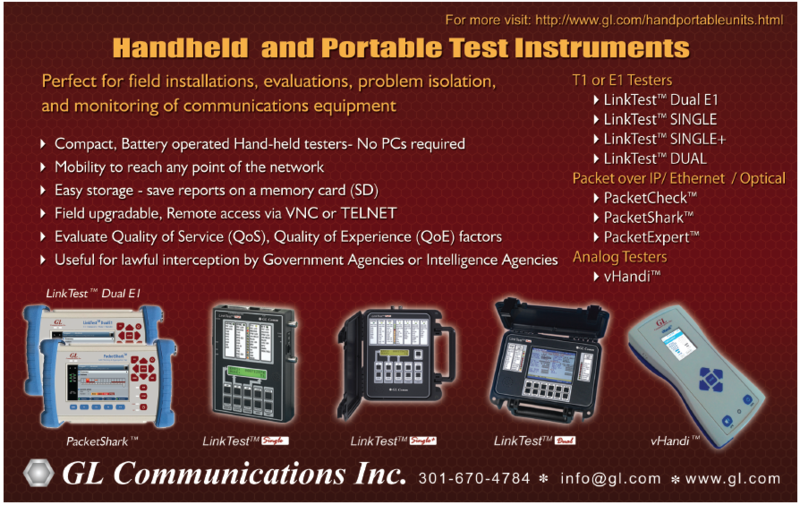 With the correct equipment, all communication challenges can be overcome. Luis Villa is the CEO of IBETOR, a specialist provider of satellite and wireless communications products and technology. He is also president of SEDAT S.L. as is also the founder of ISID S.L. Prior to founding IBETOR in 2009, Luis held a number of consultancy roles within the telecommunications and military industries with such firms as Hughes, Lockheed Martin, and Vitro. Luis holds a number of engineering degrees, including Industrial Engineer, specialized in Energy techniques from the Technical University of Barcelona. Additional information is available at http://www.ibetor.es/.